Travel trailers first appeared in the United States in the 1920s as American “tin can tourists” ventured onto the developing highway network to see the nation. Written works such as Trailer Ahoy! by Charles Nash and Touring with Tent and Trailer by Winfield Kimball and Maurice Decker, both released in 1937, further popularized trailer travel. Following World War II, travel trailers and pop-up trailers became recreational vehicles as a growing number of trailer parks opened to serve these travelers. 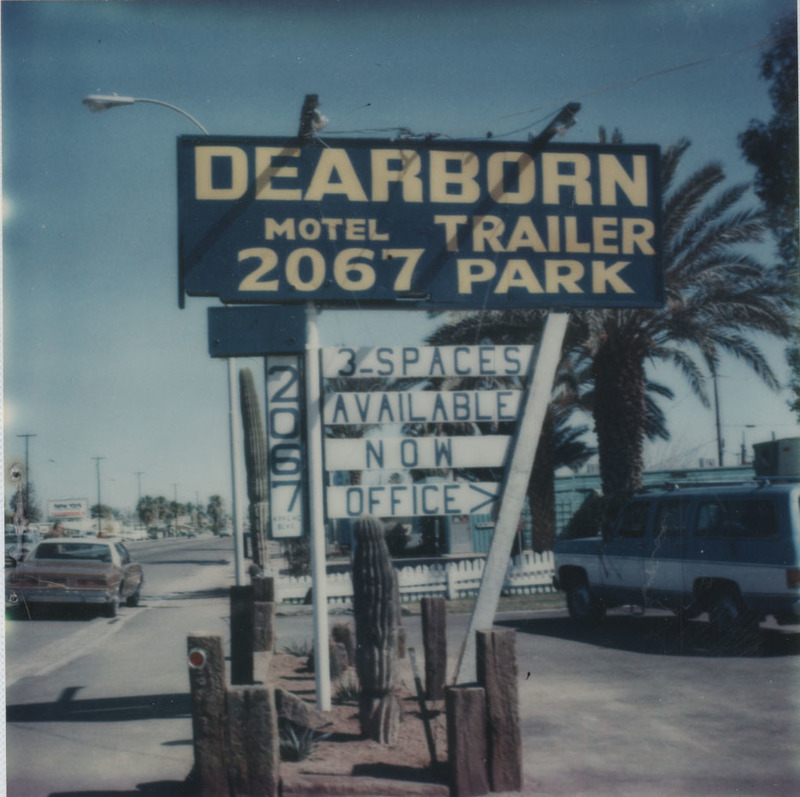 In the 1950s the Tempe-Mesa Highway had more than twenty trailer parks open, including the Desert Sunset, the Iazona, and Imp’s. 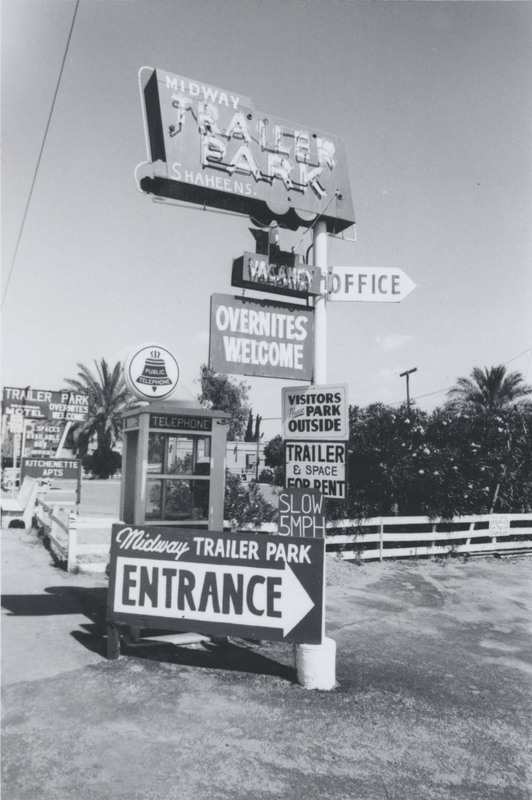 The trailer courts often had supporting service and sales centers. 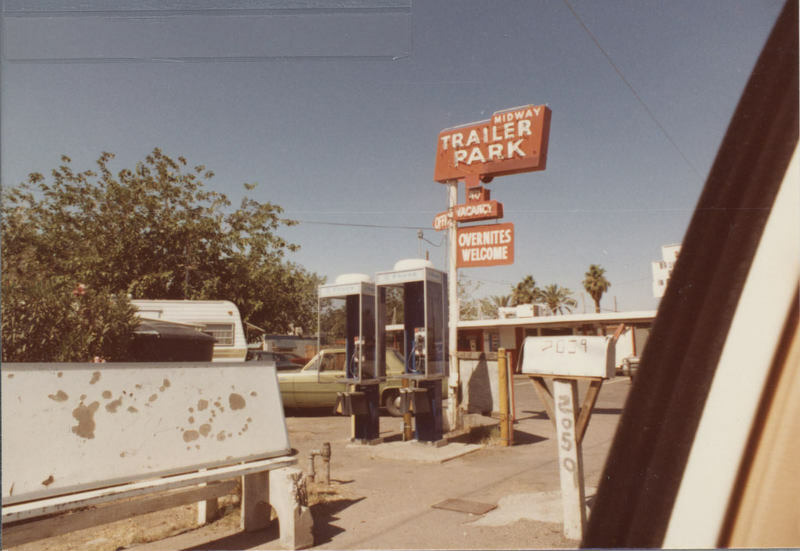 Trailer parks along Apache thrived through the 1970s and into the 1980s, even as the Interstate Highway system supplanted Highways 60, 70, 80, and 89. 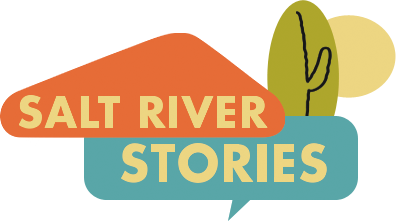 With the expansion of the region’s population East toward the Superstitions and the decline of tourist traffic, trailer parks struggled to survive. 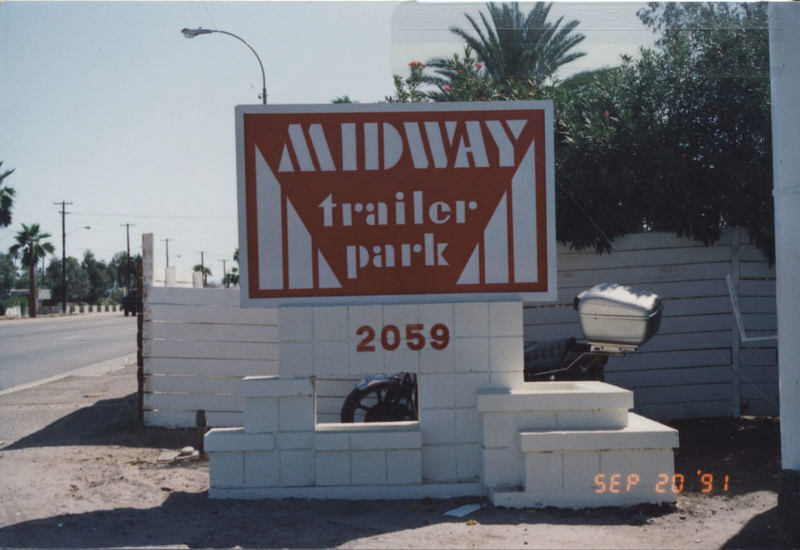 Today only the Apache Palms and Midway Trailer Parks remain on Apache Boulevard. 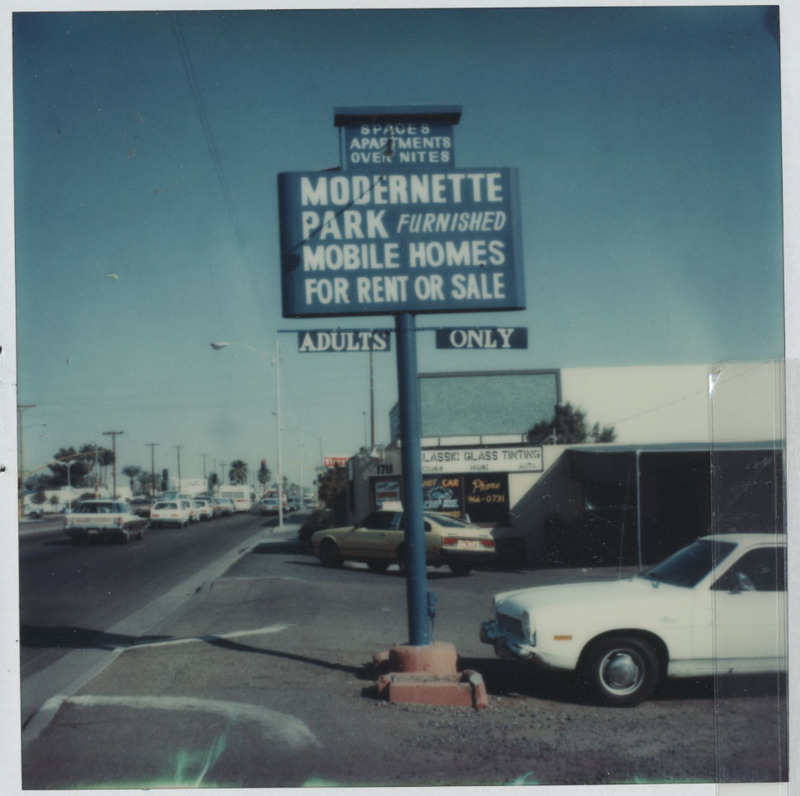 Michael Nguyen, “Midway Trailer Park,” Salt River Stories, accessed April 20, 2019, https://saltriverstories.org/items/show/262.